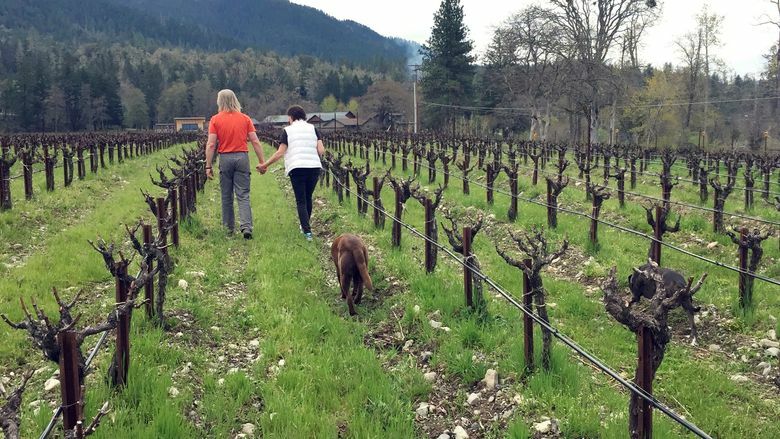 JACKSONVILLE, Ore. (AP) — Bill and Barbara Steele moved to this sleepy corner of Oregon to start their own winery after successful, high-powered business careers. Now, more than a decade later and with award-winning wine to show for their hard work, they are adding a new crop: marijuana. Oregon’s legalization of recreational pot two years ago created room for entrepreneurial cross-pollination in this fertile region abutting California’s so-called Emerald Triangle, a well-known nirvana for outdoor weed cultivation. Recreational marijuana cannot be sold legally in California until next year. But a few miles north of the border in Oregon, a handful of winemakers are experimenting with pot in hopes of increasing their appeal among young consumers and in niche markets. “Baby boomers are drinking less. Millennials are coming into their time, economically, where in 2016 they were the fastest-growing consumers of wine, both in dollars and volume,” said Barbara Steele, who runs Cowhorn Vineyard & Garden in rural Jacksonville with her husband. The Steeles leased their land to grow 30 medical marijuana plants last year, and this year they are growing double that amount to be branded with the same label as their wine. 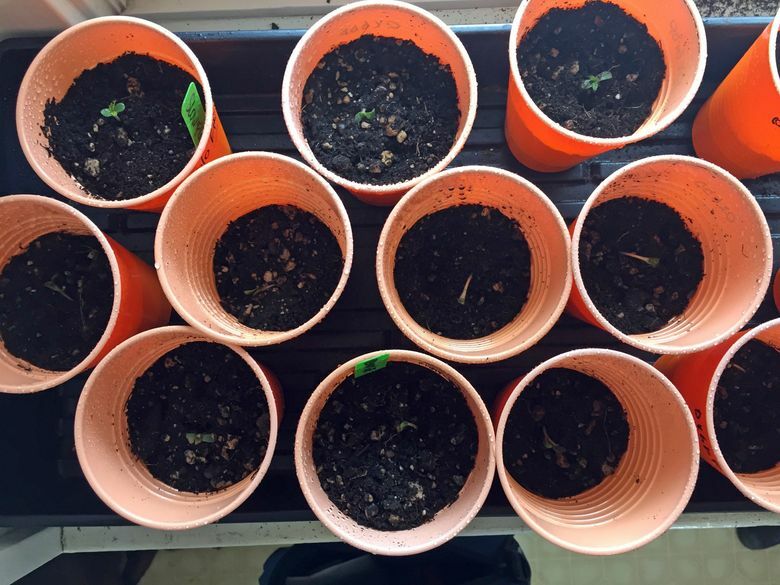 They started with seeds in plastic cups under incubators in their laundry room, and pride themselves on a “seed to smoke” philosophy. This year’s crop also is for medical use, but the Steeles are seeing the benefits of the expanding market from legal recreational pot. Their weed was reviewed alongside one of their white wines in Stoner Magazine, an Oregon cannabis publication. “That conversation is possible here because our quality — the agricultural possibility — is so high. This is an amazing growing region,” Barbara Steele said. It’s hard to know exactly how many in the wine industry are looking at pot here, but there’s plenty of buzz surrounding the subject. Some vineyards are ripping out portions of grapes in favor of marijuana plants or leasing land to private growers. Others are talking about wine-and-weed tourism, including high-end shuttles that would stop at local wineries for tastings and at marijuana farms for glimpses of how pot is prepared for market. But that enthusiasm comes with a caveat. Marijuana is still federally illegal, and wineries must keep their wine and weed businesses separate or risk losing a federal permit that allows them to bottle and sell wine. That means establishing two distinct lots for tax purposes and keeping two licenses with the state, said Christie Scott, alcohol program spokeswoman for the Oregon Liquor Control Commission, which also licenses recreational marijuana. Vineyards that grow grapes but don’t have a liquor license, however, could get a recreational marijuana license, she said. In the nearby Illinois Valley, Katherine Bryan is tackling these challenges as she launches a marijuana business with her son. 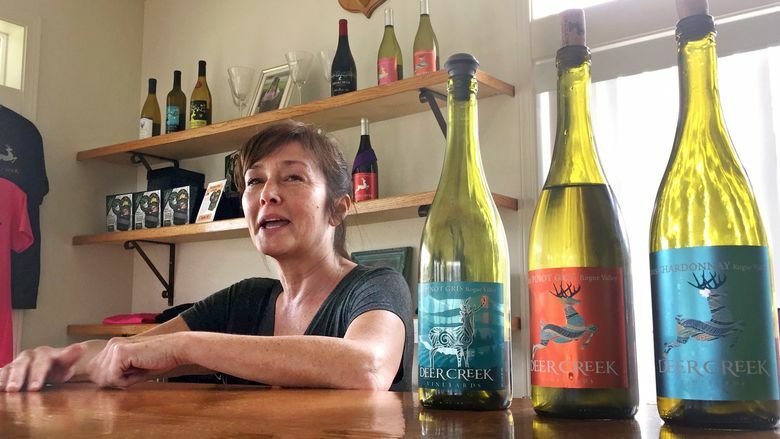 She owns Deer Creek Vineyards with her husband, but her pot operation will be called Bryan Family Gardens and will operate on land next to the vineyard. “We want to be as transparent as possible because when you’re under the federal government umbrella for your wines, you have to be very, very careful,” Bryan said. She plans to grow several hundred marijuana plants with a focus on organic cultivation and an eye toward a high-end market. They already have some buyers lined up and are installing greenhouses and lighting as they await approval of their recreational license. Mark Wisnovsky, of Valley View Winery in Jacksonville, says some vintners are upset because of the stigma associated with marijuana. But his family’s winery was the first in the Applegate Valley in 1971, and everyone thought they were crazy then, too, he said. The family isn’t cultivating marijuana now, but Wisnovsky has been a vocal supporter of those who want to do so. Diversifying with weed could save vineyard owners who have overplanted grapes for years, he added. This story has been clarified to show that marijuana cannot be sold legally in California until 2018.